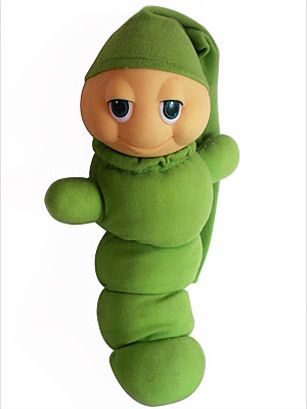 Everyone knew somebody who had one of these creepy, drunk looking worms. You know, they were usually the toy buried at the bottom of the toy bin at your babysitter’s or at a friend’s house. The idea behind them was to create a night light for the child to help them sleep. And if that wasn’t good enough? Don’t worry, they would play the sweetest, most calming and least annoying music you’ve ever heard to help you doze off to slumber land. Wait till about the 20 second mark to hear that gem of a song.